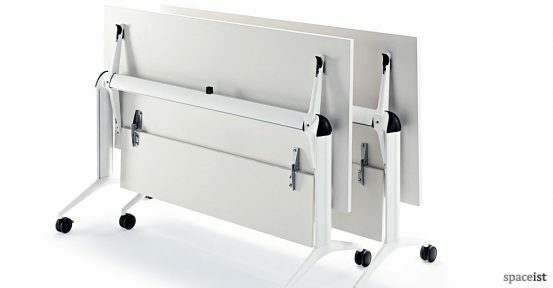 This aluminium folding table is an easy to move option with is lightweight composition and lockable anti-skid castors. 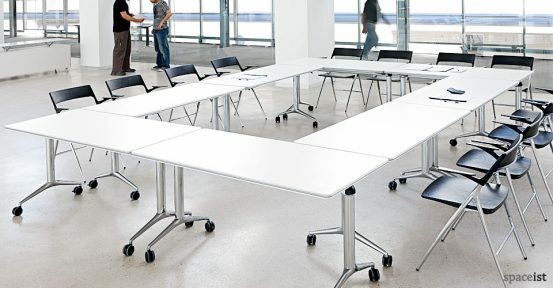 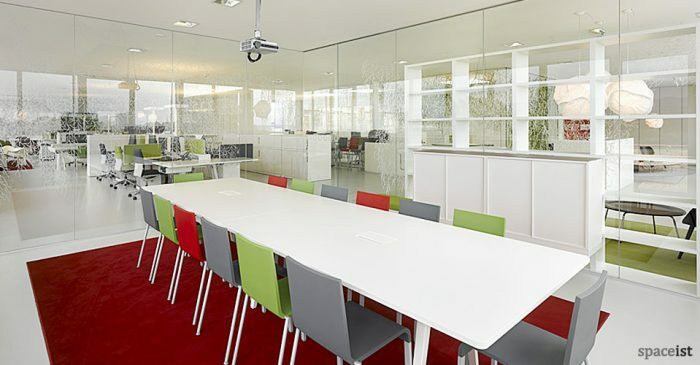 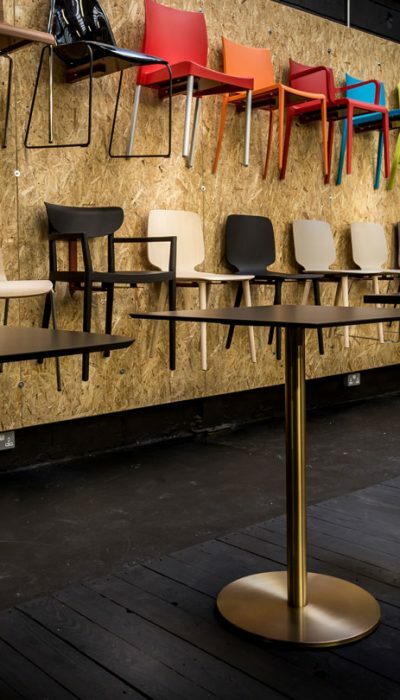 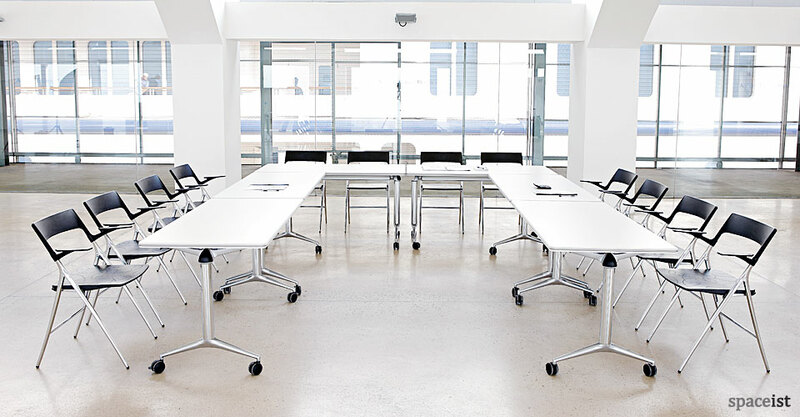 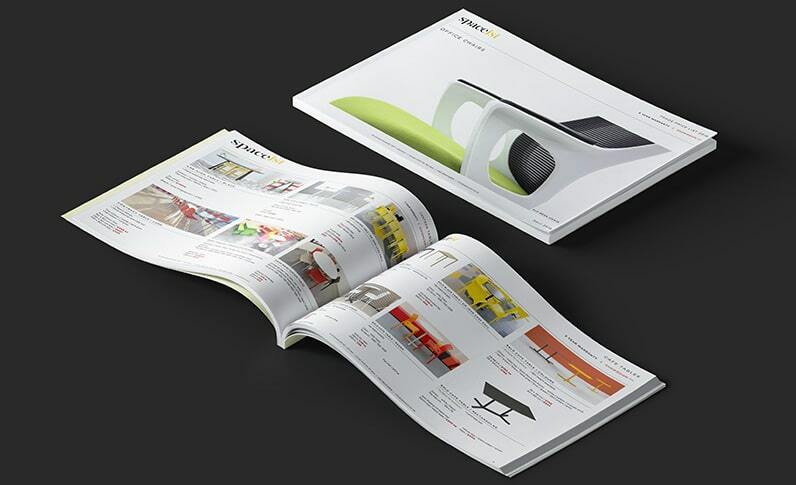 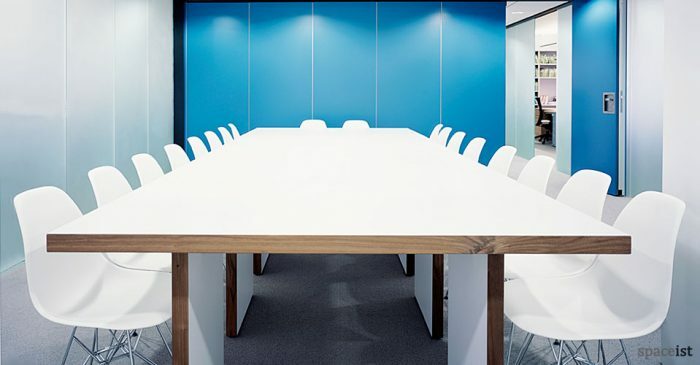 Several tables can be folded together and stored to one side, maximising space and reducing space wastage. 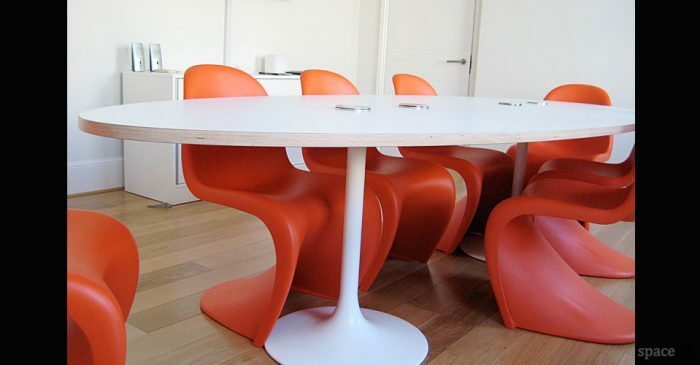 The top is made from laminated MFC and is available in white, maple, elm and chestnut. The base comes in a choice of colours including white, silver and polished aluminium.